It is only when it is established, may be even prima facie, that the colour combination has become distinctive of a person’s product that an order may be made in his favour, the bench said. Setting aside an order of interim injunction passed against Britannia Industries restraining it from using a packaging get-up/wrapper for its Nutri Choice Digestive Zero biscuits, the Delhi High Court has observed that the appropriation of and exclusivity claimed vis-à-vis a get-up and particularly, a colour combination stands on a different footing from a trade mark or a trade name and an interim injunction order can only be passed when it is established, may be even prima facie, that the colour combination has become distinctive of a person’s product. A division bench comprising Justice Badar Durrez Ahmed and Justice Ashutosh Kumar held that colours and colour combinations, unlike trademarks and trade names, are not inherently distinctive and therefore, not easy for a person to claim exclusivity over a colour combination, particularly when the same has been in use only for a short while. 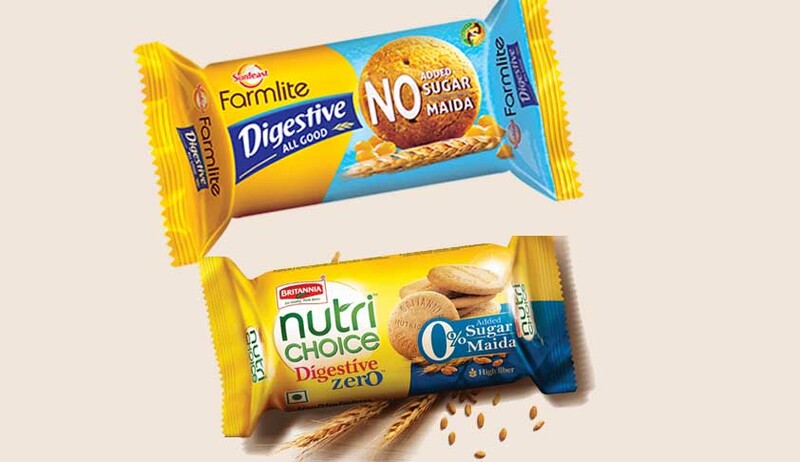 ITC had filed the said suit seeking an injunction restraining Britannia Industries Limited from violating its purported rights in the packaging / trade dress of its product Sunfeast Farmlite Digestive – All Good biscuit by allegedly using a deceptively and confusingly similar trade dress for the latter’s Nutri Choice Digestive Zero biscuit. An interim injunction order was passed against Britannia Industries. The court said the combination of yellow and blue as used by ITC for Sunfeast Farmlite Digestive – All Good biscuits has not become so identified with its goods as to become a “badge” of its goodwill.